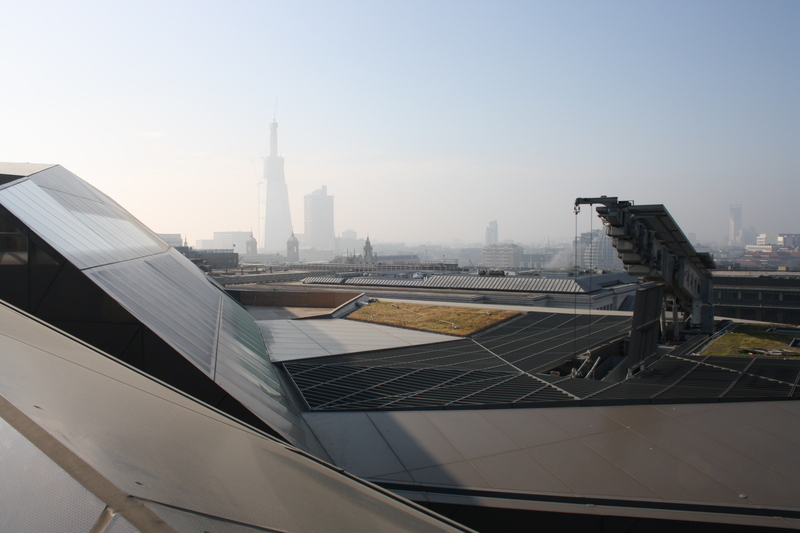 This is a view from the roof of One New Change, the recently-opened shopping centre next to St Paul’s. The views from the roof are spectacular – across London to the South Bank and of St Paul’s. As I came out of the lift the security guard stopped me and said that I could take pictures from the roof of the view but not of the building. Until he said this, I had had no intentions of photographing the building as, especially at this level, there appeared to be little to see apart from grey metal panels. However, clearly there was something that I was not allowed to photograph. I think it might be this: the building’s green roof.